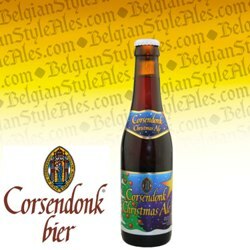 Corsendonk is a Belgian abbey-style beer brand named for the Augustinian Priory of Corsendonk in Oud-Turnhout, which was in operation from 1398 to 1784. The surviving buildings of the priory were restored in 1968 as a hotel complex. In 1982, Jef Keersmaekers, grandson of Antonius Keersmaekers who had founded a local brewery in 1906, was approached by the local tourist office to use the Corsendonk name for its abbey association, to market abbey-style beers. He launched Pater Noster, now called Corsendonk Pater (or "Abbey Brown Ale" when marketed in America), and Agnus Dei, now called Corsendonk Agnus (or "Abbey Pale Ale" when marketed in America). Other varieties include Corsendonk Blond, Corsendonk Bruin and Corsendonk Christmas Ale. Founded in 1398, the Priory of Corsendonk in Oud-Turnhout, Belgium became a noted brewery and malt house where, for several centuries, the resident monks famously brewed beer as part of the contemplative practice. But in the late 1700s, by the imperial decree of Austrian Emperor Joseph II, the priory was dissolved and the monastery and all its property sold off. In the 20th century the Corsendonk brew style and brand was revived and popularized by another area brewer, Antonius Keersmaekers; after his brewery closed, his family partnered with the Du Bocq brewing family to produce and market the Corsendonk brand. 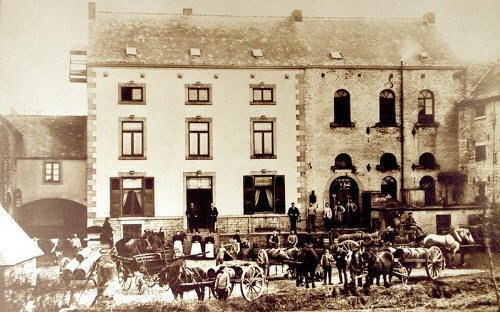 Du Bocq Brewery began as a family farm in Purnode, a town in the Belgian Ardennes near the small river Bocq. In 1858, farmer Martin Belot began selling commercially the top fermented ales he and his staff brewed during the winter months when there was very little work to do in the fields. 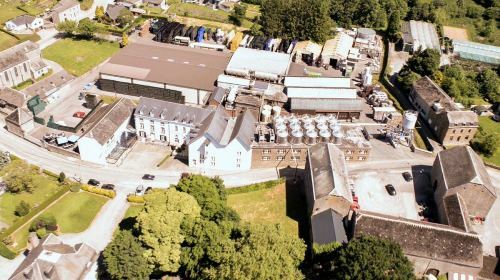 The fledgling brewery built a reputation for quality and over time, brewery revenue gradually outpaced farming revenue. By 1960, Du Bocq was concentrated fully on the brewing business. Today the brewery, still owned by the Belot family and still located in Purnode, distributes award winning ales internationally and occasionally partners with other brew brands, like Corsendonk, to assist in production and marketing.